The below flyer has been sent home with children in Year 1 – Year 6 today for a FREE holiday club during the next holidays. These places are for children aged between 5 & 11 and are STRICTLY LIMITED to 30 places so book quick to avoid disappointment! All bookings are to be made directly via the details on the flyer and not through school. 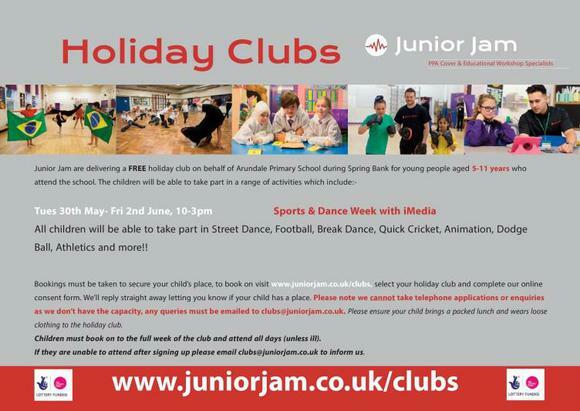 The holiday club will be run from school premises.